Looking in from the outside, spas and beauty salons seem to be all about fun, glamour and making beauty dreams come true. But, for beauty salon managers and owners there is a bit less glitter and a lot more hard work. We all know that owning a beauty salon equals everyday dedication to the craft, non-stop education, innovation awareness, devotion to safety and costly investments into the business. Plus, we are lucky to be living in the age of technology. And though this means that beauty business highly benefits from the technology advancements, but it also implies working in a highly stressful constantly changing industry. Nowadays beauty salons treatments are competing on the same level as plastic surgery. Something unimaginable just 10-15 years ago. New beauty equipment offers all of the results with no downtime, no scars, no anesthesia and no pain. So today, the main question is: how can beauty salon stay relevant and offer all of the popular treatments without breaking the bank? We are 100% sure that we can offer you a smart way to answer that question: invest in a multifunction machine! At our store, you can find amazing 3 in 1 facial machines for sale that can help any salon owner to promote, properly market and grow their business while attracting new customers. The multifunctional equipment is carefully designed so that you will be able to offer treatments that complement each other or to offer a line of popular beauty treatments without the need to invest in a line of mono-functional machines. Contemporary ergonomic machine design. 3 function facial machines are exactly that – 3 machines in just one piece of beautifully designed equipment. You can offer more and take up much less valuable salon space. Beautiful, clean and uncluttered space is always a plus. Customer-oriented strategy. There is no need to change chairs or rooms, no downtime between treatments, no need to unplug, store and set-up equipment. Quicker ROI. 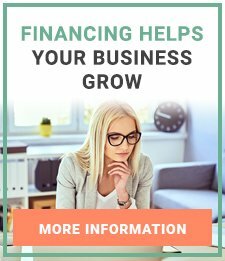 With just one investment you will be able to quickly see a return on your investment. Offering treatments that are beneficial to each other. Clean skin and unclogged pores are essential starting point for any beauty treatment that is why most of our 3 in 1 machines include Microdermabrasion. 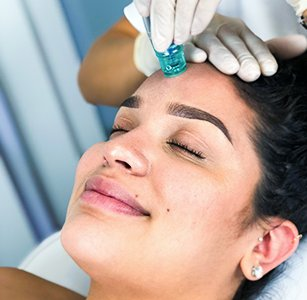 Better results are guaranteed when Microdermabrasion treatment is performed prior to Vacuum peeling, Ultrasonic skin therapy treatments, Oxygen infusion and Needle-free Mesotherapy. Quality and Safety. By investing in our facial equipment you are guaranteed safety for your patients. We work only with well-known and highly-respected beauty equipment manufacturers that drive the industry with research and innovation. Our line of 3 in 1 Multifunction Facial Machines would be an excellent fit for any spa, salon or a practicing beautician on-the-go. Within this category, you’ll find the most popular and effective treatments. Let’s look at the amazing results offered by one of our three-in-one machines. 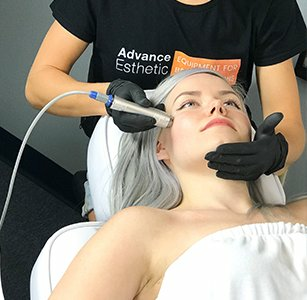 Nowadays Ultrasonic Skin Scrapers and Ultrasound therapy are all the craze, so take a look at our 3-in-one Multifunctional machines that offer ultrasound treatments. In this category you can find an amazing 3 in 1 machine that offers both mentioned treatments plus Diamond Microdermabrasion. Within just one machine you will be able to offer Microdermabrasion - the best painless and safe peeling that rejuvenates, smooths the skin and promotes cell turnover. With Ultrasonic Scraper you client will benefit from facial cleansing. This treatment tightens and lifts the skin by boosting protein (elastin and collagen) production. The skin becomes renewed, looks healthy and polished. The procedure cleans pores and diminishes their appearance, removes dead skin cells and eliminates lines and wrinkles by promoting better anti-aging product penetration and hydrating the skin. And with Ultrasound therapy you will be able to safely inject vitamins, surums and other beauty products deep under the skin. The phonophoresis hyghly increases non-invasive product penetration and absorption. Such product injection helps to lift the skin, boosts elasticity and improves blood circulation. Explore the perks of our 3-in-1 Multifunction Facial Machines with us. We are happy to invite you to our showroom to check out our incredible top-of-the-line Multifunctional equipment. 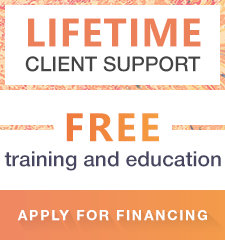 You are also welcome to contact us any time – we will gladly offer training and consultations on all the equipment we have for sale. Here at AE, we are proud to offer seamless Customer service. We attribute our success to the growth of your business; we have 10 successful years of prosperous experience that we are ready to share. We reach our goals by working with the best companies, offering only high-quality products and stocking the largest range of beauty machines that would be equally beneficial to a beautician on-the-go as well as well-known beauty salon franchise. We are here to help everyone! Please do not hesitate to contact us if you have any comments or questions, or if you need help with choosing the right 3 in 1 machine for your business. In this category you can find 3-In-1 multifunction facial machines. In order to recover the cost of your equipment, all you need is to provide 10-15 procedures. If you are looking for high quality and great prices for 3-In-1 multifunction facial machines, you have come to the right place.